Dr. Nelson Woo was born in Augusta, GA to Eugene and Lynne Woo as one of five children. He grew up as the middle child with three brothers and a sister, moving on to study at the University of Georgia and graduating with a bachelor’s degree in Biology from Augusta State University in 1993. From there, he attended the Medical College of Georgia and achieved his certification as a nuclear medicine technologist in 1996. After completing the nuclear medicine technologist certification, Dr. Woo started dental school, graduating with a Doctor of Dental Medicine degree in 2000. Upon graduating, Dr. Woo practiced with his cousin, Dr. Grant Loo, in Augusta for a year before moving to Atlanta. 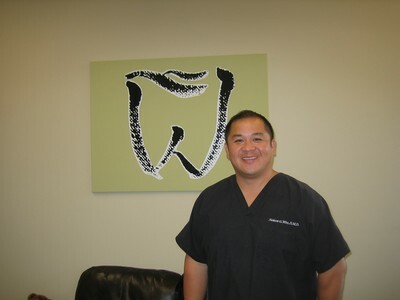 He practiced in several offices before deciding to start his own independent practice in 2006. Over the ten years that Dr. 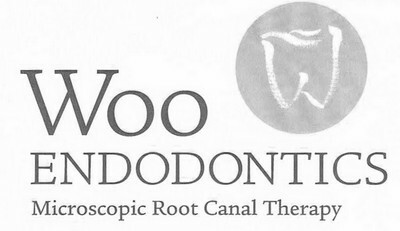 Woo practiced as a General Dentist, he had the opportunity to treat many patients with root canal therapy. During this time, he discovered that he enjoys performing root canal therapy and wanted to learn how to treat the more complex cases that many patients have. In 2010, he was accepted to the endodontic residency program at the University of Alabama at Birmingham and obtained his certificate in endodontics in June of 2012. After he passed the written part of the national boards, he became board eligible. While only 21% of endodontists have gone through this rigorous process, Dr. Woo always enjoys taking as much continuing education as possible for both endodontics and general dentistry in order to keep up with the latest technology and advancements in the field. In his spare time, Dr. Woo enjoys nearly anything outdoors. He was very involved with tennis and played in the ALTA (Atlanta Lawn and Tennis Association) until he had shoulder surgery, which has limited his playing time. He also enjoys fishing, crabbing, and kayaking, and is a University of Georgia football fan. Dr. Woo currently resides in Marietta, GA, with his wife Michelle and children. 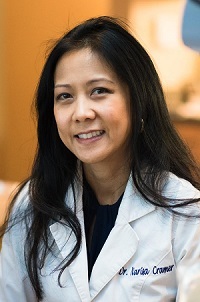 Before joining the team at Woo Endodontics she had a successful career and general dental practice in Roswell, Georgia for over 16 years. Ultimately, she decided to return to school to specialize in Endodontics. She completed a two-year residency studying nonsurgical and surgical root canal therapy utilizing surgical operating microscopes and 3D imaging technology in Augusta, Georgia at the Dental College of Georgia at Augusta University. She attended the Medical College of Georgia for her dental doctorate (D.M.D.) and the University of Georgia for her Bachelors degree in Science. Dr. Cramer is a specialist member of the American Association of Endodontists and Georgia Association of Endodontists. She is an active member of the Northwestern District Dental Society, Georgia Dental Association and American Dental Society. Dr. Cramer is also a member of Pierre Fauchard Honor Society and the Hinman Dental Society/Study Club. Dr. Cramer has spent most of her life as a Georgia resident. She was born in Bangkok, Thailand and grew up in Thomaston, Georgia where she went to preschool up to high school. Dr. Cramer knew at an early age that she wanted to pursue a career involving caring for people and decided being a dental professional was the perfect answer. She loves spending time with her family and is a HUGE University of Georgia football fan.